Researchers at the U.S. Public Interest Research Group (U.S. PIRG) say two models of fidget spinners sold at Target -- the Fidget Wild Premium Spinner Brass and the Fidget Wild Premium Spinner Metal -- contain high levels of lead. The group says the products contain higher levels of lead than are allowed in children's toys; the legal limit for lead in toys is 100 parts per million (ppm), but the U.S. PIRG says the center circle of the versions it tested had 33,000 ppm. The group provided the information to Target and product distributor Bulls i Toy but says neither company has acted to recall the popular toys. Fidget spinners are small, three-pronged objects with a ball-bearing in the center. Users rotate the devices between their fingers in a way that is said to relieve stress. In a statement to the Washington Post, Target said fidget spinners are not classified as "toys" by the Consumer Product Safety Commission (CPSC) but rather as "general use products." As such, both the regulator and the two companies say the models in question are not covered by lead limits on toys. Target says the labels on the two models in question clearly state the products are appropriate for children 14 or older. Dev Gowda, Toxics Advocate at U.S. PIRG Education Fund, tells ConsumerAffairs that the age-related distinction between fidget spinners is likely lost on parents shopping for their children. "There are hundreds of fidget spinners on the market," Gowda said. "Some are labeled three and up, some six and older, and others 14 and older. But they're often all on the same shelf in the toy aisles of stores." 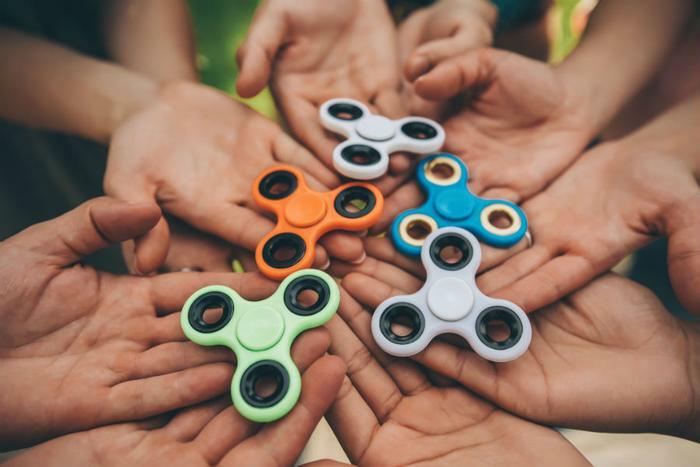 Gowda says U.S. PIRG researchers found the two high-lead fidget spinners next to other similar products bearing labels designating them for children 12 and under. He contends all fidget spinners should be treated as children's toys and has reached out to the CPSC to revise its guidance concerning the products. "Any parent or teacher would agree that fidget spinners are primarily meant for children 12 years and younger," Gowda asserts. "We urge Target to stop selling these fidget spinners and issue a recall for those that have already been sold." Parents shopping for their children should read labels carefully when purchasing a fidget spinner to make sure the product is appropriate for the age of the child.